Jacob Maurer is an Agronomist for RDO Equipment Co. based in Moorhead, MN. 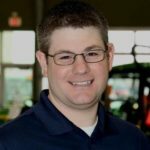 He has a Master’s degree in Agribusiness from Kansas State University and consults with growers on precision agriculture adoption. Email him at [email protected] or connect with him on Twitter @RDOJacobM. To learn more about precision agriculture offerings from RDO Equipment Co., visit www.rdoequipment.com or contact your local RDO Equipment Co. store.